I think it’s safe to say this mystical red wedding theme has filled us with a burning desire for fire! 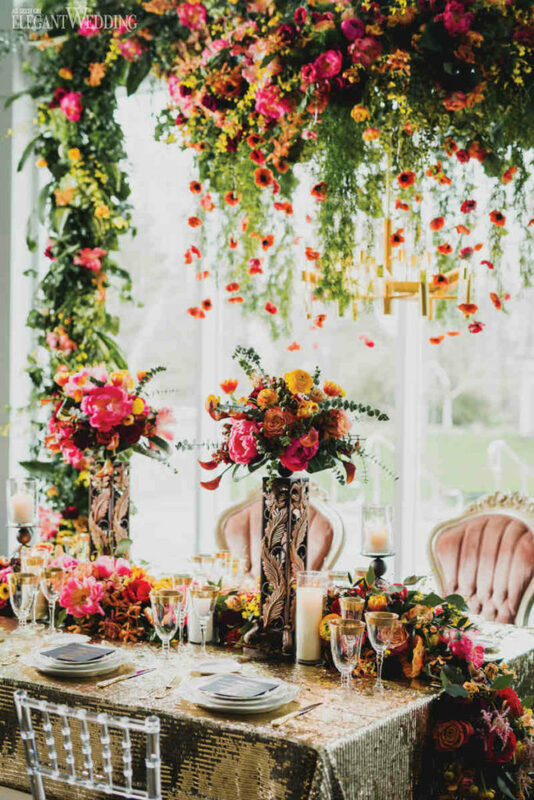 From red, yellow and orange florals to black and gold stationery, there simply is no shortage of colour in sight. Inspired by the mythological God Hephaestus, better known as the God of Fire in greek mythology, the scene depicts love, beauty and passion in true fiery form. Our favourite element: the lush floral arch framing the table setting decorated by a shimmery chandelier. Find the entire “Burning Desire” style shoot in the Summer/Fall 2017 issue of Elegant Wedding Magazine.